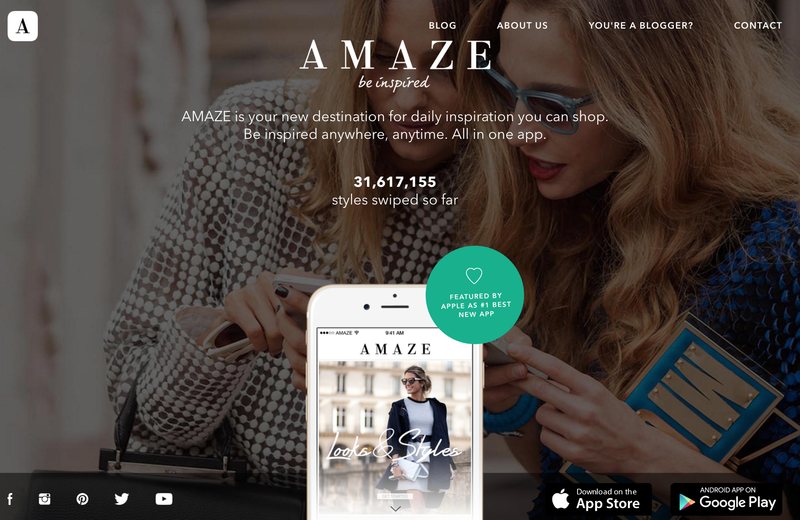 Zalando has bought the shopping app Amaze (German). Amongst all the new mobile apps on top of Zalando, Amaze was/is an outlier. The app was not only the first one on Zalando’s platform1, it was also the only one by another company than Zalando. Amaze was essentially a third-party app providing a unique way for discovery of fashion available on Zalando, using Zalando for the complete checkout process and fulfillment. What kind of insights ‘small data’ makes possible in aggregate has recently been demonstrated by Foursquare. Foursquare, which lets users check-in to places, can track foot traffic data this way. It wasable to predict accurately the first weekend sales of the new iPhone models this year based on previous data even before that launch weekend. Amaze’s unique approach of working with a vast network of fashion bloggers and others for its content makes Amaze a nice fit for Zalando’s app portfolio; also, the data generated by Amaze doesn’t hurt either. But what does it say about Zalando’s platform on the app side when the first (and only) outside app doesn’t even survive a whole 12 months on its own? More and more, Zalando’s platform takes on a more conservative look. A B2B and backend synergy play combined with a traditional portfolio approach on the consumer side. This is something to watch closely. Because a true platform approach (as in: modular, ‘open’) brings with it in the long term far more potential for Zalando itself. But it is also far harder to pull off. Taking over a struggling Amaze, that may have been running out of money, is a far easier2 route than, say, figuring out an environment where an Amaze and others can thrive; and, in the process, can grow the pie for everyone. ← ShippingPass: Does Walmart Stand a Chance with Two-Day Shipping against Amazon Prime?